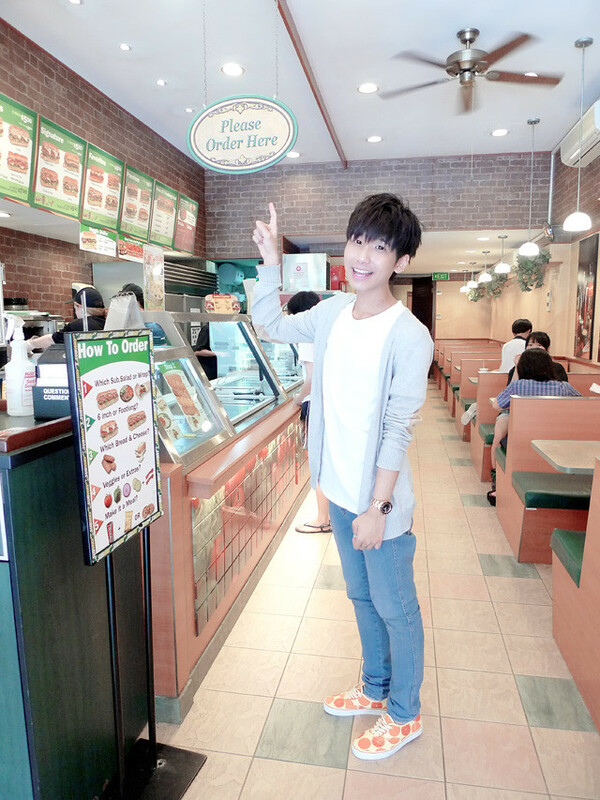 How many of you here love Subway??!!! For me, I super love!!!! Really!!! 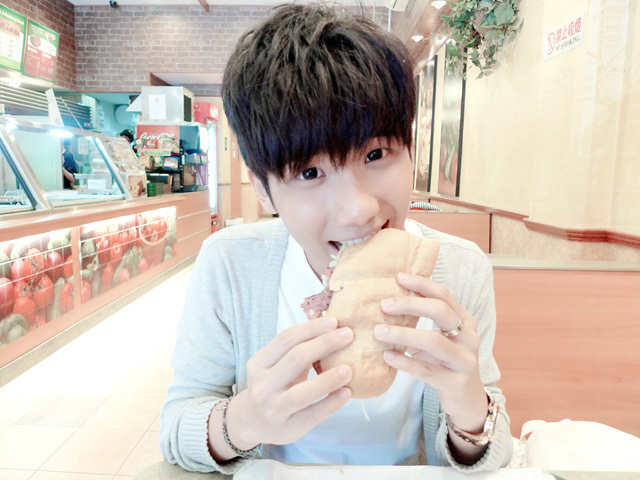 I still remember there's a period of time where I love it so much that I had Subway (either for lunch or dinner) for almost everyday! 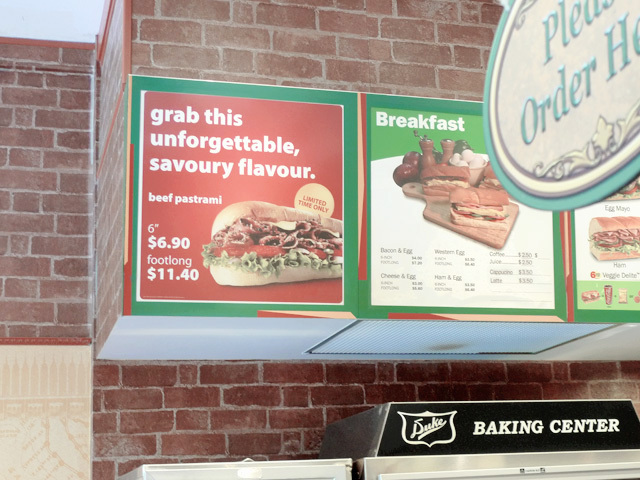 And my all time favourite sub is none other than 'Subway Melt', where I'll always add extra cheese and bacon! Oh, and sometimes egg mayo as well! Hahahaha! Well, but today it's not so much about my 'Subway Melt'! 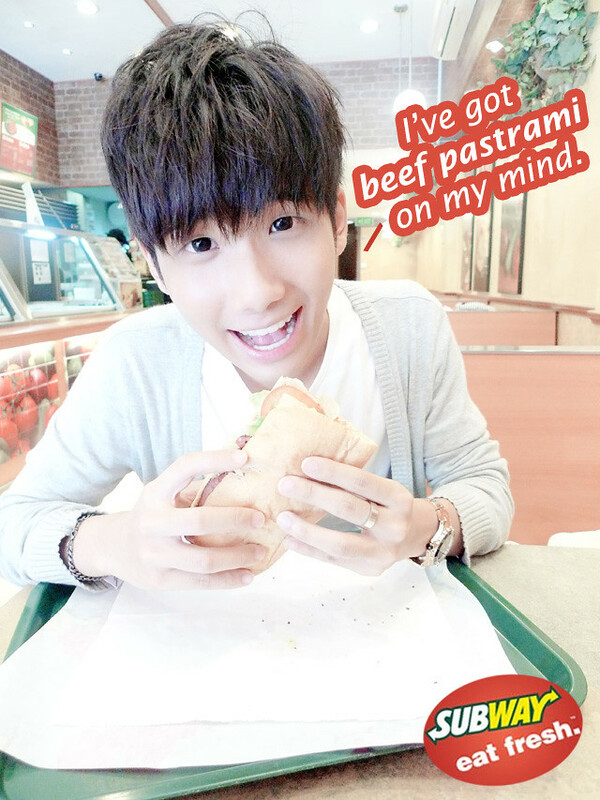 Instead from the title above, you know it's the Subway Beef Pastrami!!! 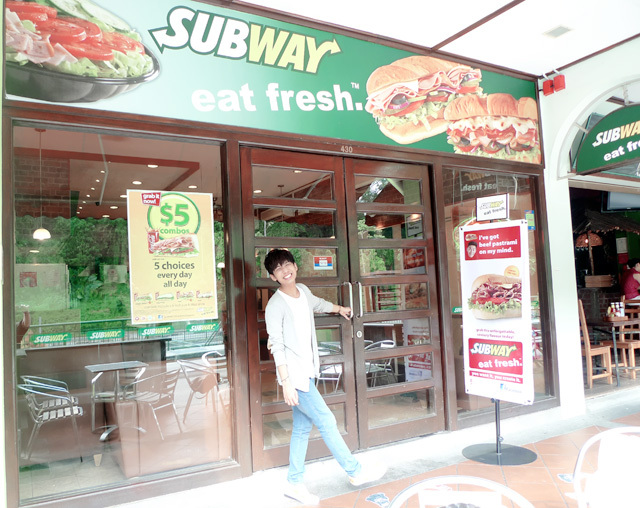 Yes, Subway Singapore is bringing back...... 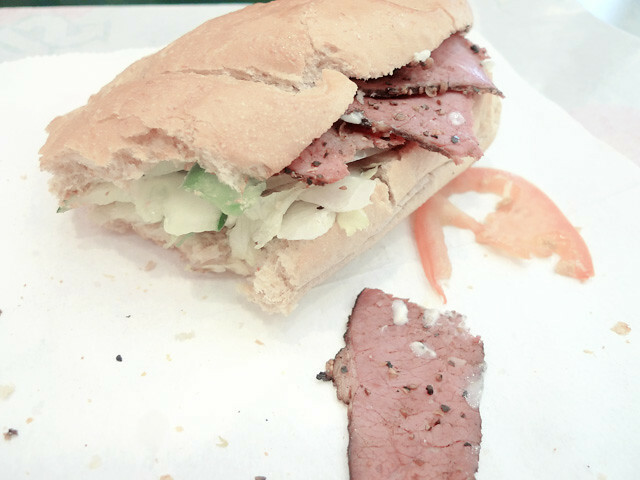 Beef Pastrami Sub!!! Yay!!!! Beef Pastrami Sub that is back for a limited time only!!! 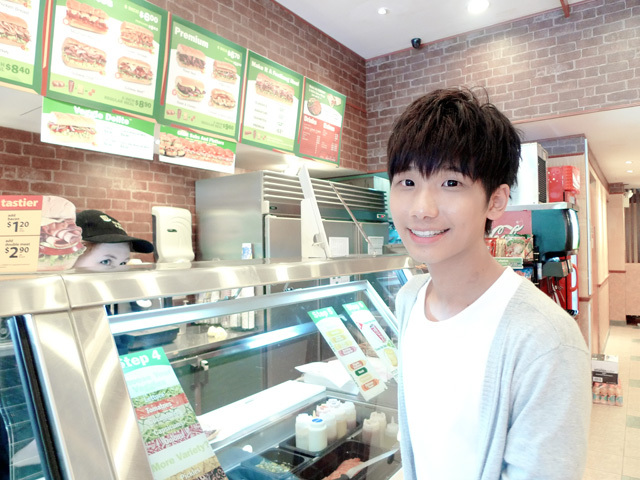 So of course we have to go to Subway and try it out!!!! 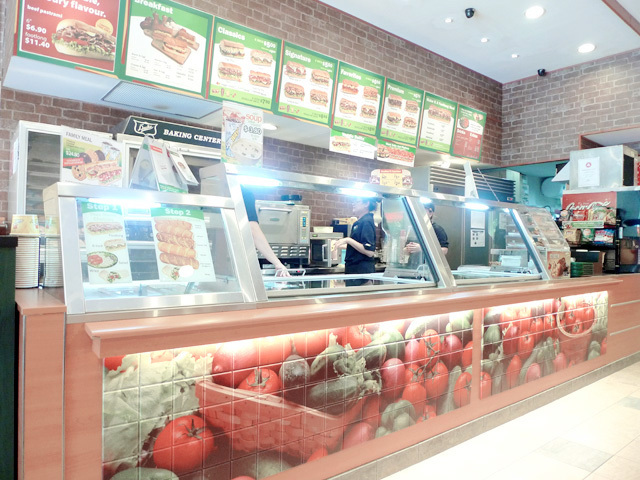 And everytime I step into Subway, the jingle 'Subway Eat Fresh' will sing in my mind lol! 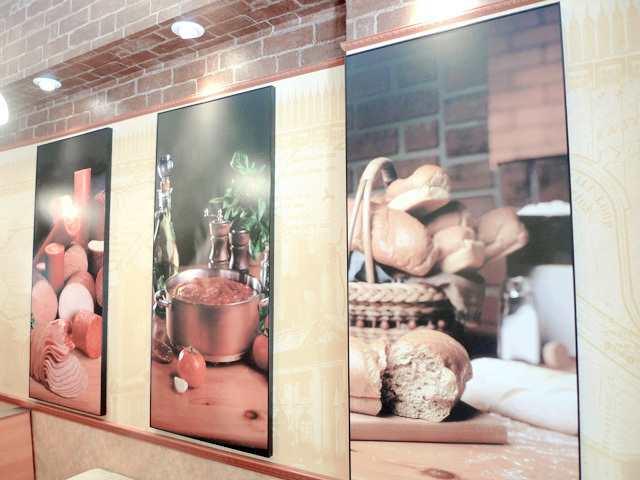 Their signature decor in all of their outlets! 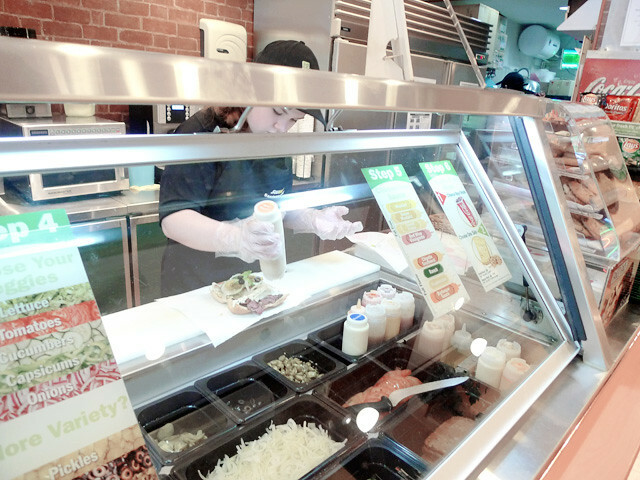 Yes, one 6" Beef Pastrami sub please!!! 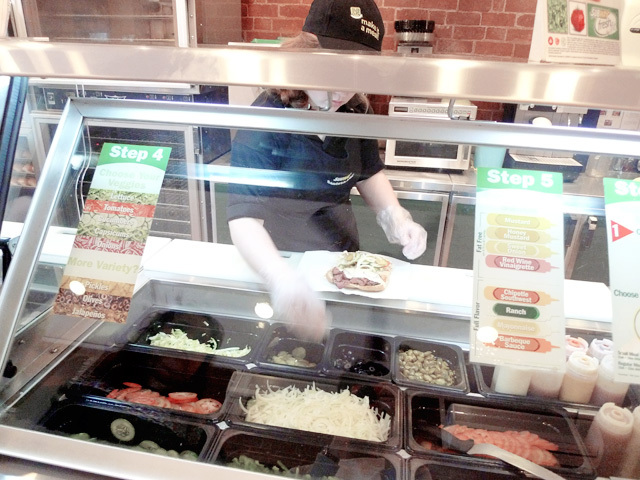 I always love to see how they prepare the sandwiches! Hahaha! You know for the choice of bread, I'll always choose Honey Oat but this time round I'm having Hearty Italian instead! Spoilt for choices lor, cause there's like a variety of gourmet bread to choose from! Sandwich artist: "Toasted with cheese?" Me: "Yes of course!!!!" And to the veggies part, I'll usually have all the veggies cause I love veggies!!! This is why Subway is awesome (or awesomer cause they are already awesome) cause you can choose what you want or don't want! It's like basically creating your very own sandwich! 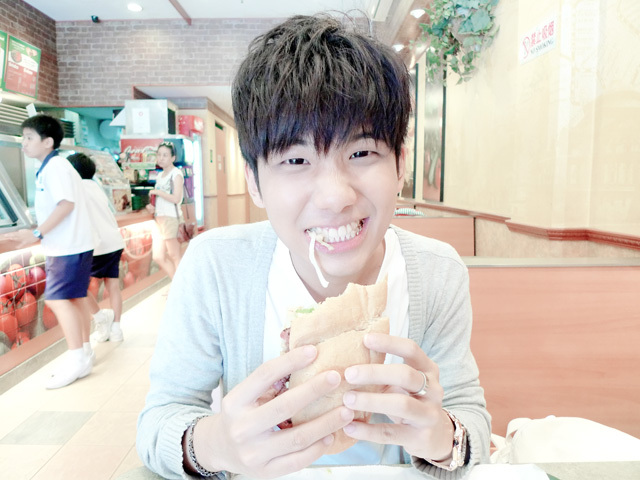 I know of some friends who don't really love veggies that much (unlike me), but they still eat Subway cause they can actually choose the veggies that they want inside their sandwich! Whatever you want or don't want, you decide!!! And one last step to go!!! The sauce!!! I usually will have Honey Mustard, Mayonnaise and Mustard! And it's done and nicely wrapped up!!!!! 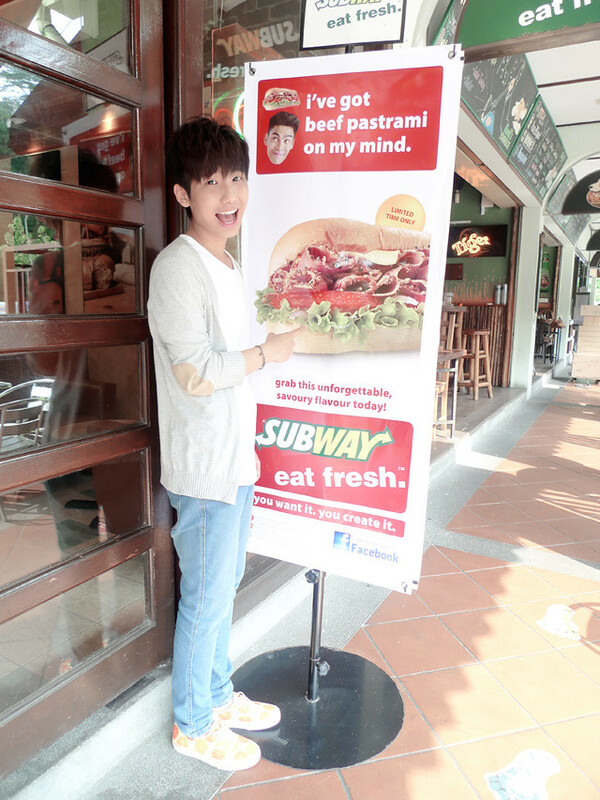 Here you have it, on my hand is the Subway Beef Pastrami sub!!! 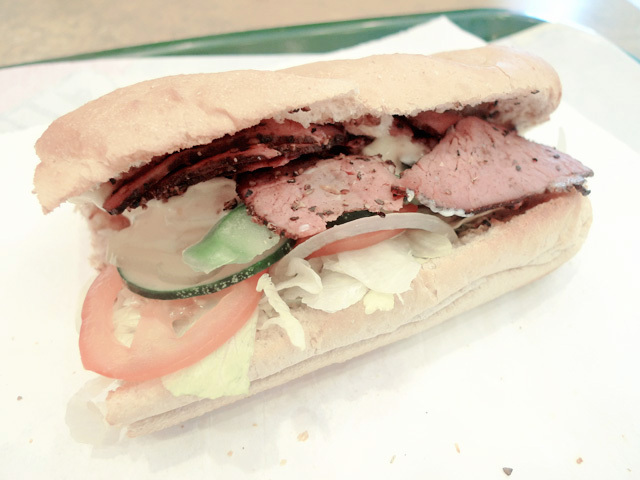 A closer look at my Beef Pastrami sub! It looks super yummy please!!! Woooooooo!!!!! I'm going to try it now!!! Getting a bite from it! It's soooo succulent, overflowing with goodness!! Picture with the sandwich artist before leaving! 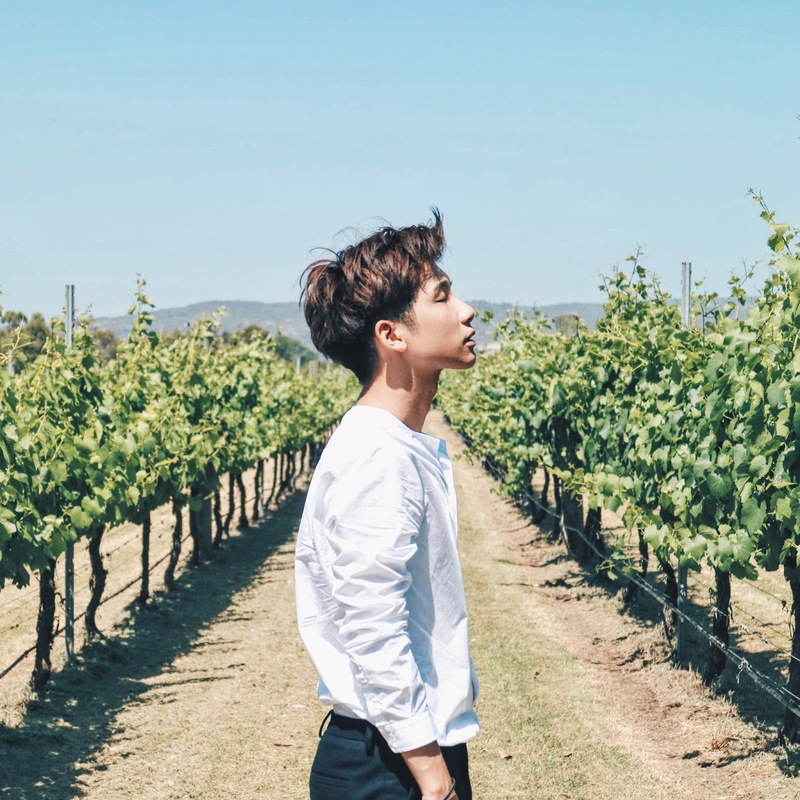 you can check out their Page here! "And to the veggies part, I'll usually have all the veggies cause I love veggies!!! This is why Subway is awesome (or awesomer cause they are already awesome) cause you can choose what you want or don't want! It's like basically creating your very own sandwich! 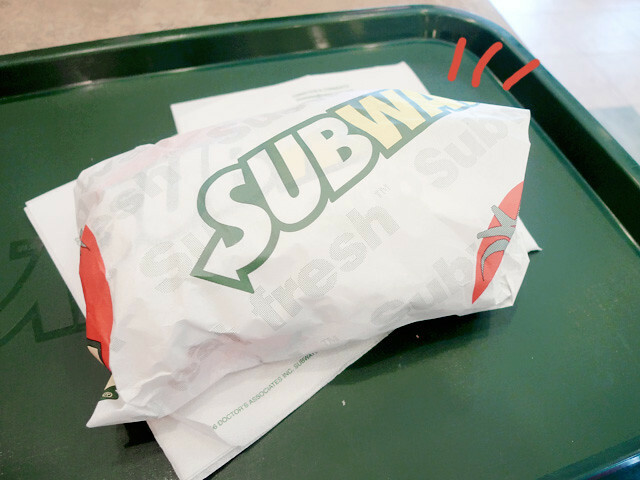 I know of some friends who don't really love veggies that much (like me), but they still eat Subway cause they can actually choose the veggies that they want inside their sandwich!" Haha so do you love/not love veggies? OMG HAHAHA!!! I didn't realise!!! Edited!!! Guess what... I ordered lunch today, and did it without taking ANY photos. I didn't write a blog about it either!! Not very 2013 of me I know.